Sega Sammy CEO Naoya Tsurumi believes that Atlus's RPG expertise will be a boon to Sega's operations. You may recall back in September when Sega purchased Index Holdings, the owners of Atlus. Despite assurances from Atlus's president and CEO Naota Hiraoka, it was a deal that left many of the developer's fans scared for its future and the future of its many beloved franchises. 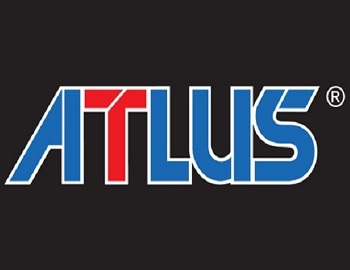 Speaking on the acquisition recently however, Naoya Tsurumi, the CEO of Sega Sammy, affirmed the company's intentions to leave Atlus to its own devices. "The plan is to have Atlus and Sega continue shining as brands, while aiming to increase their degree of independence," said Tsurumi. "They'll continue managing their own brands and IPs, and making them bigger. Then, Sega will be the ones to sell them." He went on to offer assurances that Atlus's development structure "will remain the same" and that Sega has "no plans to undertake any of their work." That being the case, Atlus has apparently been welcomed to make use of Sega's own IPs. "While we have no intention of forcing this," he said. "We'd definitely love to have them utilize any of Sega's dormant IPs." According to Tsurmi, Sega simply has more to gain from leaving Atlus intact as it is than it would from changing it. "Sega have never excelled in RPG titles," he said. "The fact that [Atlus have] been able to capture fans from North America is really huge. That said, for Sega, it's a big plus to have more IPs, but an even bigger plus to have more genres." In the end, Tsurumi believes that the most important thing it can do is keeping fans happy. "If we were to lose fans, then all would be for nothing. Making fans and the employees of Index happy is what I believe will be our best return [for the company], and we'll do our best to keep that up."